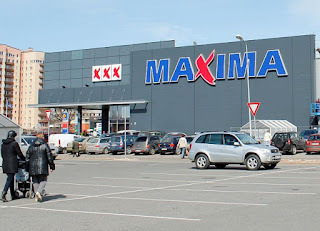 Lithuania’s supermarket chain Maxima that is present in all the three Baltic states as well as in Poland and Bulgaria and is also the biggest retail chain and the largest employer in the Baltic States was considering to turn to State Security Department (VSD) in connection with the boycott of retail chains organised to 10-13 May. The spokesperson of Maxima told Baltic News Service on Friday that the company was currently preparing the documents they are planning to submit to VSD because they were suspecting that the civic action is organized by powers that aim to create unrest, rather than to express civil position. According to R. Saulytė, the company was collecting their observations about the issue as they have the impression that powers adverse to Lithuania try to cover themselves with a peaceful action and the wish to express opinion in order to incite people. Later that day, the head of the company stated that they are not going to contact the security services and apologized for the earlier statement. According to the spokesperson, their suspicions were based on what they see on social networks and among some of their employees that – as they suspect – these forces are trying to invoke to carry out the action. Maxima was especially concerned about the fact that some of initiators of the action are people mentioned in the VSD’s security assessment report Assessment of Threats to National Security. One of them, Laurynas Ragelskis has been active in public domain with anti-state statements. The report tells about Ragelskis that he is the editor of an Internet platform publishing anti-Western and pro-Russian articles in Lithuanian, Ldiena.lt. According to Maxima, that is the reason why they were suspecting provocation behind the peaceful action. When asked if it was not an attempt from the company to suppress the civil dissatisfaction with high prices, R.Saulytė said that the aim is to ensure security and raise awareness about possible provocations. She also added the in the course of time, the rhetoric about the boycott has changed, becoming ever more aggressive. There have been also Internet trolls on social network sites spreading the photos of the head of the company and other provocations. The company has consulted the Ministry of Defence and also contacted the police and local governments that issue permits to organize pickets. The executive director of the Lithuanian trade association Laurynas Vilimas did not rule out the possibility that the umbrella organization uniting all of the major retail chains would contact the relevant departments if it is demonstrated that it is possible that the calls not to buy in supermarkets will evolve into public threats. When asked about the submission, the spokesman of VSD commented that they have not received it yet, but if they receive, they would evaluate it thoroughly. About 100 000 people are expected to take part in the boycott. According to PR specialists, publicizing the appeal was a communication mistake as it can trigger even bigger protest. It may be the explanation why the company later said it gave up the plan. The boycott is organised because of the rapidly rising food prices. In April, public discontent appeared on online platforms because of the high prices of vegetables. 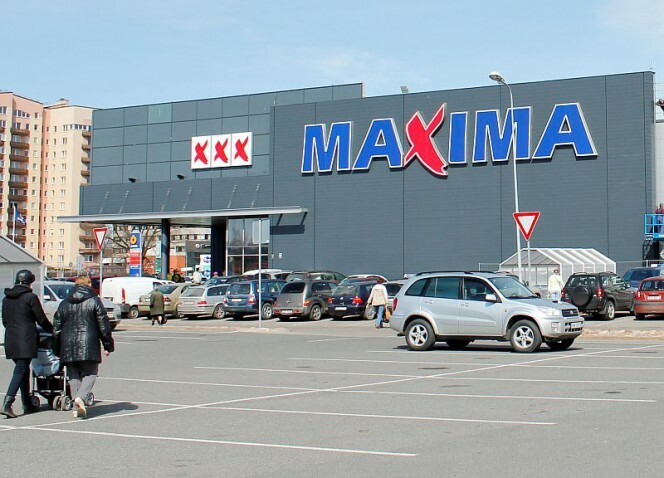 One customer was complaining because of the price of a cauliflower bought at Maxima – 3.50 €. 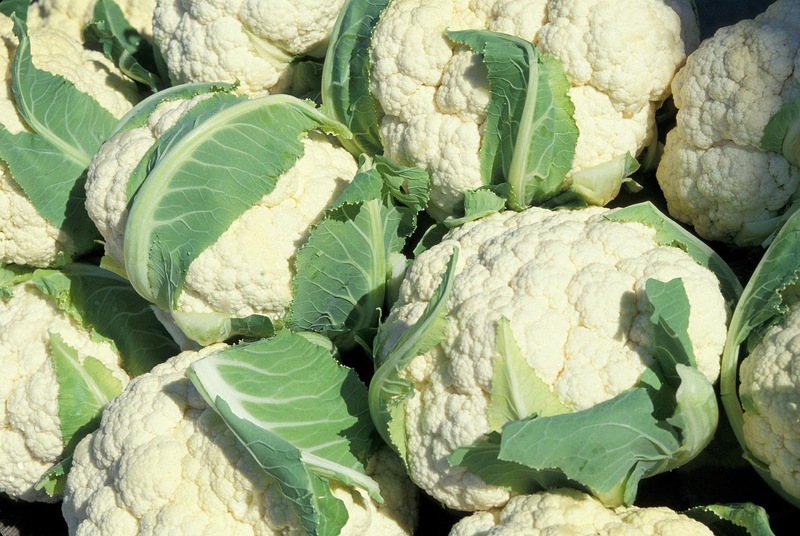 Another reader drew attention to the fact that in a supermarket chain in the UK, cauliflower costs only 89 pence (1.15 €). After this, the site was flooded with comments on lower prices of vegetables in Western European countries (Ireland, Germany, Italy). High vegetable prices were explained by retailers and business analysts with the bad weather conditions, long transport distances and with the fact that prices on small markets always tend to be higher because of the smaller numbers of customers and retailers. The law on price regulation in Lithuania ceased to be in force last year. Kaliningrad - A bridge between two worlds or a military outpost? Russia insists that Kohver was engaged in intelligence activity on Russian territory. If you want to spy on another country, you do not go into the forest near the border with a pistol in your hand. It is the easiest way to deconspire yourself, intelligence does not work like that. But if you do that, at least, you must have cover documents with you. It is much more likely that Kohver was indeed investigating a smuggling case (the money is a bit more difficult to explain, though). So what could have been the intention of Russia with the kidnapping? To prevent Estonian secret services to reveal the smuggling case that could have been sponsored by Russian secret services as Kadri Liik suggested? Well, in that case, it was the best way to bring to the limelight a case that otherwise would not have raised much attention worldwide... Extracting information about Estonian counter-intelligence? 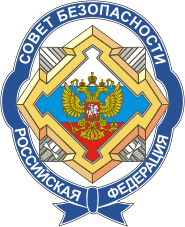 As several Russian spies were uncovered in Estonia, it is unlikely that Russia could extract any new and valuable information from an officer working on smuggling cases. Demonstrating that Estonia is aggressively spying on Russia? Moscow’s allegations were not very convincing. Demonstrating Russia’s determination and capabilities and sending a signal to Estonia? (it happened just two days after Obama’s visit in the Baltic states and the announcement of sending NATO troops to these countries) So far it seems the most likely motivation for me. 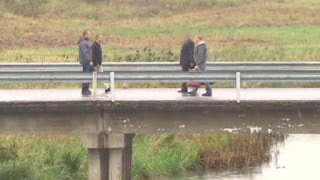 The swap of Eston Kohver and Alexei Dressen that took place on 26th of September this year was only one episode in a kind of “spy war” going on between Estonia and Russia since 2008, the arrest of Herman Simm. According to Postimees , the timing was not accidental: it was just a couple of days before the Putin-Obama meeting where the two leaders discussed the situation on Syria and Ukraine. However, the swap is not the only element in the spy war that was motivated by political considerations: in fact all the actions that were made public were driven by foreign policy goals and momentary interests on both sides. Intelligence activity is going on all the time, irrespective of the current relations of countries. However, even though spies are being caught time to time, these cases are rarely revealed. First, it is much easier to keep an eye on someone who is already known to be a spy than a new person eventually sent to replace them. Second, if the country’s counter-intelligence is professional enough, they can start a game and use the revealed spy to spread disinformation and uncover his/her contacts or the whole network. And, probably the most important, revealing that someone managed to pass on a considerable amount of secret information is confessing that the counter-intelligence of the given country is not functioning properly. Herman Simm was nabbed because his contact person, using Portugal nationality came to the attention of another NATO country’s counterintelligence. However, as we can see, this person who ran him was not arrested, but observed for some time, that is how Simm came under suspicion. Although it is possible that the decision on Simm’s arrest was made because he was considered to be one of the most damaging spies on NATO , thus constituting a serious security threat, his activity could have been stopped without the noisy arrest. Most probably, the decision was made not by Estonia alone but by the leaders of the alliance. The goal of bringing up the case was to score a point against Russia in the background of the Russo-Georgian war. Aleksei Dressen, who was swapped for Kohver was arrested on the 22 February 2012. His arrest could perhaps be connected to the controversial Russian presidential elections in 2012 when popular protests against Vladimir Putin were repressed, but it is possible that it was part of Estonia’s strategy to discredit Russia with whom the relations severely deteriorated after the 2007 Bronze Soldier incident and the cyberattacks on Estonia. The kidnapping of Kohver could have been a Russian answer as it perfectly suited actual Russian interests: first, having caught an ‘Estonian spy’ Russia could (or at least was trying to) demonstrate after these two Estonian spy fiascos that not only Russia is spying on Estonia, but also Estonia on Russia; second, bringing someone home who worked for Russia and who can be celebrated as a national hero is always a good way to secure popular support and raise patriotic feelings  (the latter also works for Estonia). Such kind of events always have to be evaluated on the background of current foreign policy issues and foreign policy strategies, not on only the basis of the specific details of the espionage case, as the escalation of this cases is motivated by foreign policy considerations. Yesterday, Polish daily Gazeta Wyborcza reported about a Facebook group promoting the 'Peoples' Republic of Wilno/Vilnius' demanding the deployment of 'little green men' and organization of a referendum among the 'autochton population' in Vilnius and its surroundings. According to Gazeta Wyborcza, a similar site had already been blocked by Facebook earlier, it is now the second attempt. The Internet address given on the site is zs.mil.pl, a rifleman association cooperating with the Ministry of Defense of Poland. 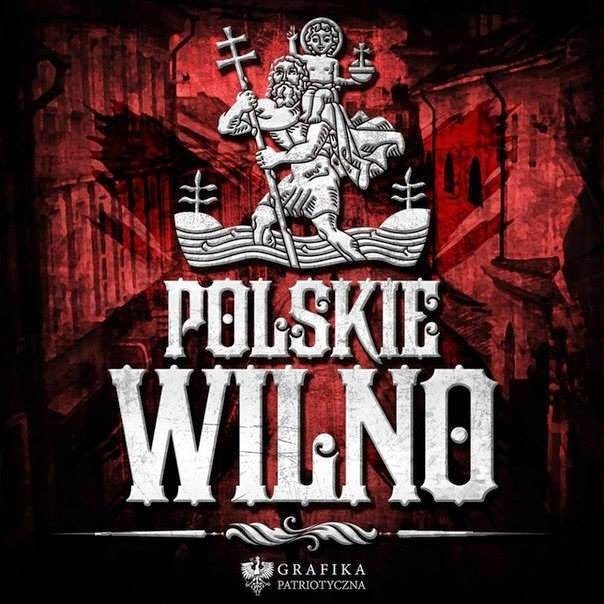 Asked by Wyborcza, the Chief Commander or the association commented that they are a non-political organization, they have definitely no connection to the Facebook site and will inform the prosecutor's office about the issue which he called a provocation. There are a lot of controversial materials on the site. For example, photos of street signs from Poland in Polish and Lithuanian, where the Lithuanian name is covered with red paint (allusion to the Lithuanian ban of street signs in languages other than Lithuanian), a photo of the tower of Gediminas in Vilnius with a photoshopped Polish flag on the top, a picture of Polish tanks with the inscription: 'Where is the Seimas?' (the Lithuanian parliament) or a video about alleged Polish volunteers fighting in Donetsk and Lugansk on the side of the separatists. The most concerning are the instructions to people living in the Vilnius area who want to take part in separatist activity. They suggest them to form small groupings (3-4 people) and carry out provocations. Xportal, a Polish rightwing-nationalist website also writes about the initiative and says that it is supported not only by the Poles, but also the Russians and Belarussians living in the Vilnius region and suffering discrimination by the Lithuanian state. Former vice-minister of culture of Lithuania and secretary of the Association of Poles in Lithuania Edward Trusewicz called the action a 'cheap provocation'. Lithuanian news portal delfi.lt reported about the Facebook site already in the end of January and drew attention to the fact that it equally criticizes the Lithuanian and the Polish governments. Delfi adds that inciting national hatred can be punished up to 3 years of imprisonment. The title of the page is given in Polish and Russian as well. The page has now over 1600 likes. Poles make up about 7% of the population of Lithuania (there are 6% of Russians). The Polish minority lives in a compact area around Vilnius where they are the majority. Poles are dissatisfied with current Lithuanian legislation which bans the use of non-Lithuanian street signs and non-Lithuanian spelling of names. The leader of the Polish minority party Polish Electoral Action and MEP Waldemar Tomaszewski was accused by the head of the Polish senate with pro-Russian sentiments when he wore the Saint George ribbon on the commemoration of 9 May last year. In an earlier post, I have already written on the problem of Daugavpils and the Latgale region. 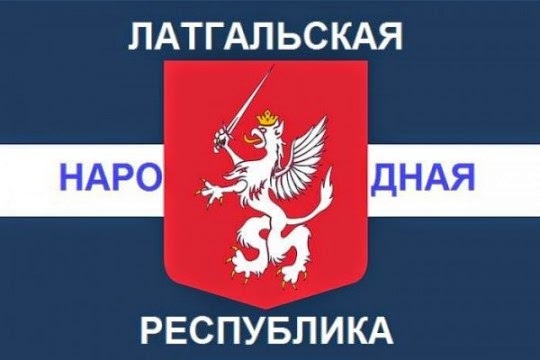 Yesterday, a Facebook comment about the possible flag of a breakaway Latgale with a name inspired by the People's Republic of Donetsk and Lugansk, provoked public scandal in Latvia. Investigation is being carried out by the Security Police (Drošības polīcija) on the issue as an attempt to undermine Latvia's territorial integrity. The comment was posted in a discussion started by Russian minority activist Vladimir Linderman. Another person published a map of the possible territory of the new republic with a comment: 'I am Latgalian' ('Я латгалец') and that the majority of Latgalians are dreaming about it. 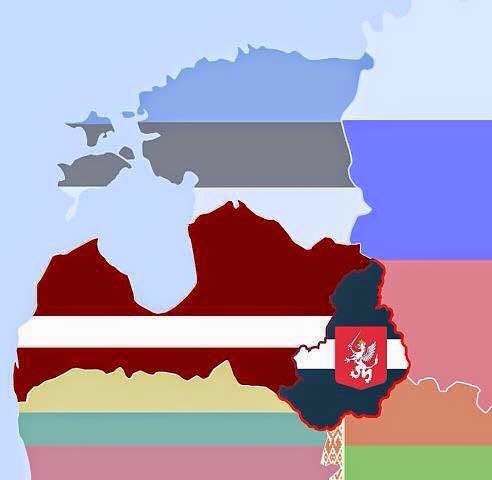 The picture with the map is circulating on the Internet in recent days and the flag was originally designed by a Latgalian ethnographer and now overlaid by the text in Russian: 'Latgale's People's Republic'. In 2013, a criminal process had been started against Linderman on the basis of his organizational activities and utterances on the idea of Latgale's autonomy. Clearly, the separatists appeal to the regional identity of the minority (mainly Russian speaking) population of the region. It may indicate that an eventual fusion with Russia would not be enticing for the Russian speakers of Latvia (especially having in mind the differences of living standards in the Russian Federation and Latvia). But is is very likely, that such initiatives are coming from Russia, as they are in line with Russia's geopolitical interests. Russian influence also appears to be more acceptable wrapped in local identity, which is usually associated with civic movements. In this case, separatists try to make use of a distinctive cultural-territorial identity, which already exists for several hundred years. Latgale is a historically-culturally distinct region of Latvia. Latvians living there speak a special dialect of Latvian, often characterised as a distinct language. Latgale was under Polish rule from the 17th century until 1918. That is the reason why most Latvians living there are Catholics (in contrast with the Lutheran Latvians in other regions of the country). Besides that, Latgale always experienced stronger Lithuanian and Eastern Slavic cultural influence than the rest of Latvia. Serfdom was abolished in 1861, a couple of decades later than in other Latvian territories, which also resulted in the economic backwardness of the region. After becoming part of the independent Latvia in 1918, Latgale received wide autonomy (including the recognition of Latgalian as an official language besides Latvian.) After the Ulmanis-coup in 1934, the autonomy of Latgale was curtailed. Under Soviet rule, Latgalian identity and culture were banned. Latgalian language as a dialect of Latvian is now protected by the state, e. g. in Latvian state radio there is a radio programme in Latgalian. According to deputies of the Saeima, separatist tendencies are not even nearly as prevalent as they are sometimes pictured, but economic problems in the region raise most concerns of the inhabitants and therefore must receive more attention. Hungarian MEP spying for Russia? Ribbon of Saint George or Colorado beetle? 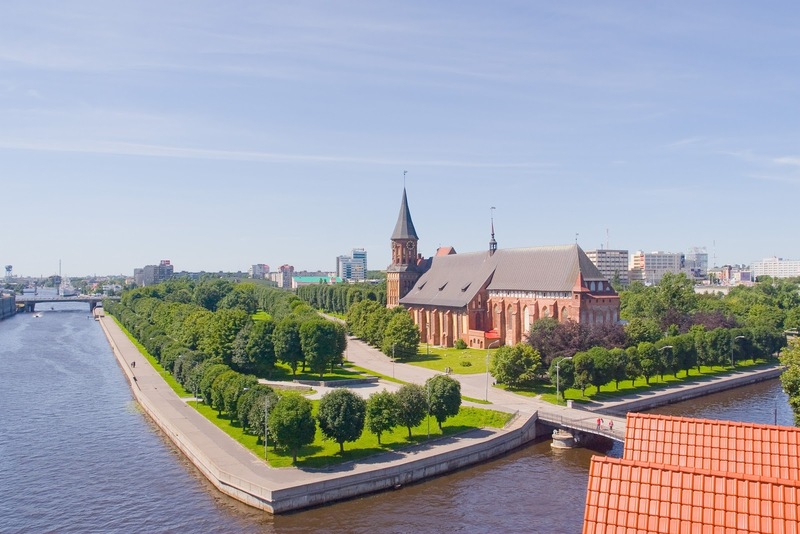 Daugavpils - the new Crimea?